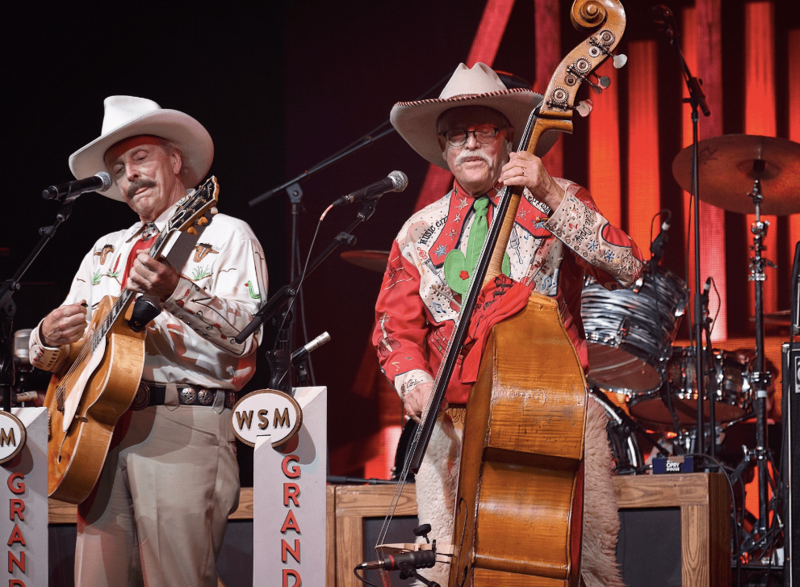 Billed as “The Show That Made Country Music Famous” and the “Home of American Music,” the Grand Ole Opry is one of the most iconic attractions in the State of Tennessee. 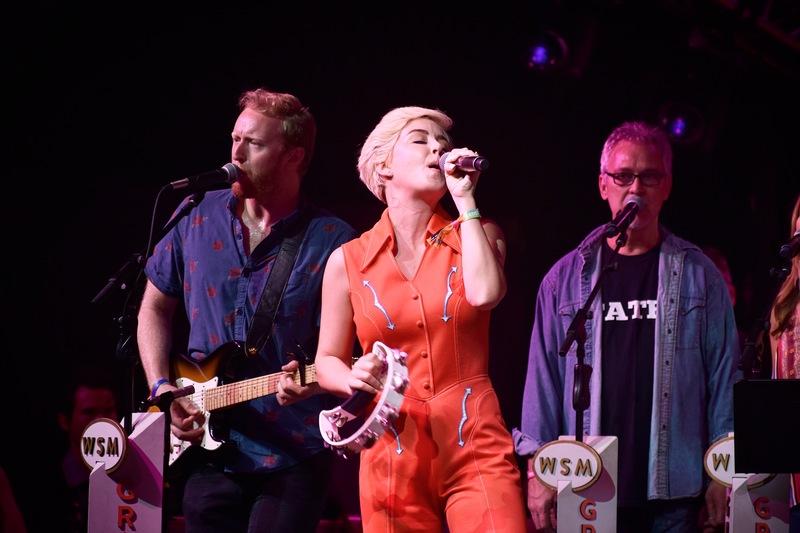 Just down the road from the Opry’s home in Nashville, the Bonnaroo Music and Arts Festival has embraced an increasingly genre-diverse lineup, including an uptick in traditional and modern country acts over the last couple of years. 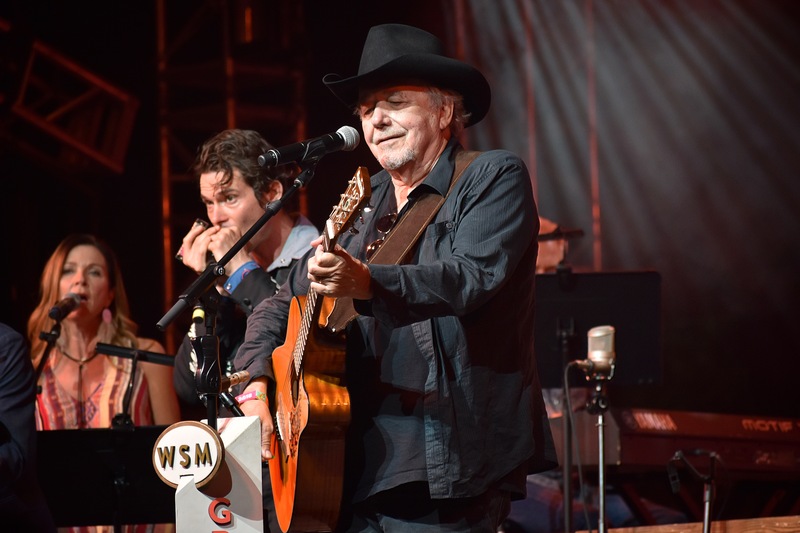 While many modern country artists play the Opry, the show is, at heart, a set of ideals preserving the legacy of country music instead of a die-hard top 40 showcase. 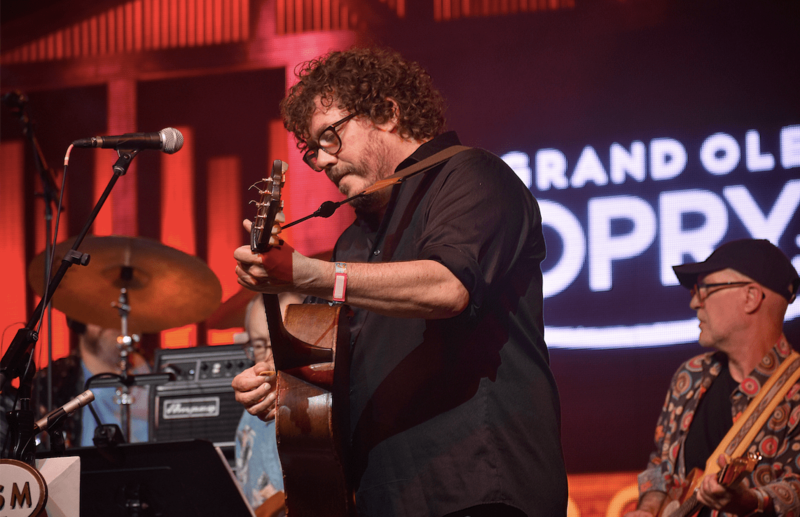 Bonnaroo has always favored the traditional and bluegrass side of the genre, making the Opry spirit a natural fit. 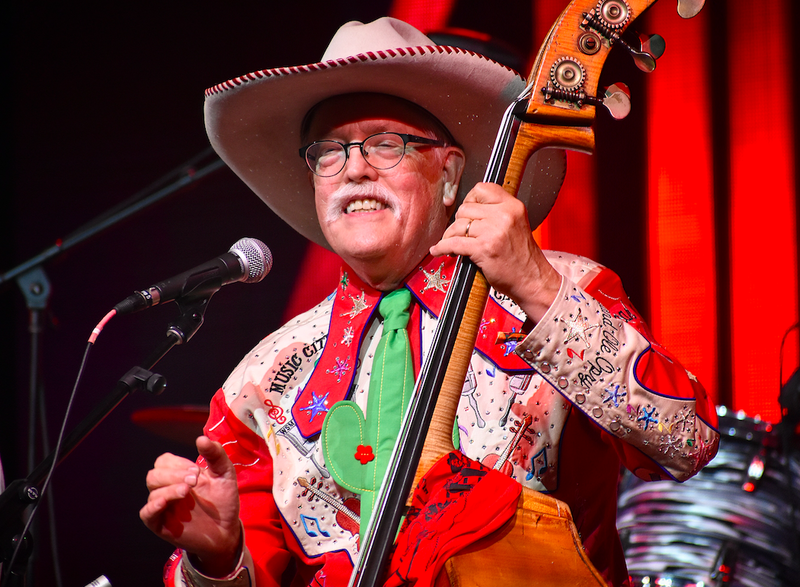 Even though I am sure that many of the old-guard Grand Ole Opry founders rolled in their graves at host Bill Cody’s suggestion of Opry tie-dyed shirts for Bonnaroo, it was a perfect opportunity for the Opry to reach out to new fans and for Bonnaroo to expand its ever-evolving lineup of themed shows. 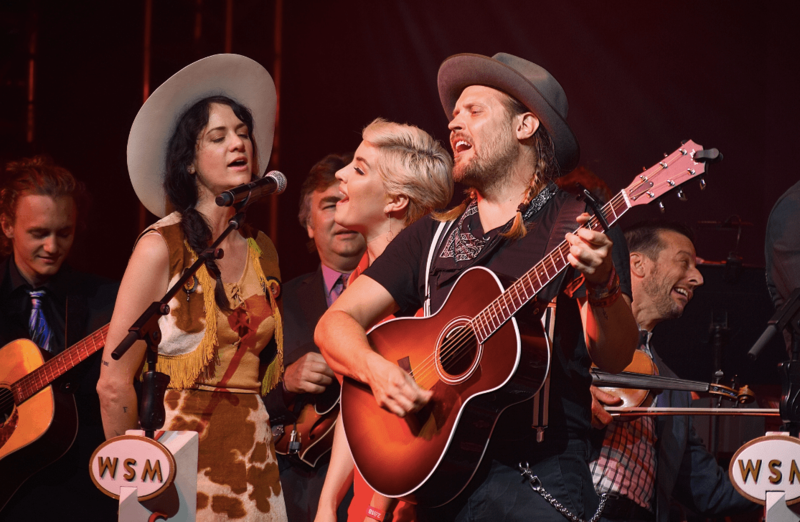 Make no mistake: The Grand Ole Opry at Bonnaroo was no diluted gimmick. 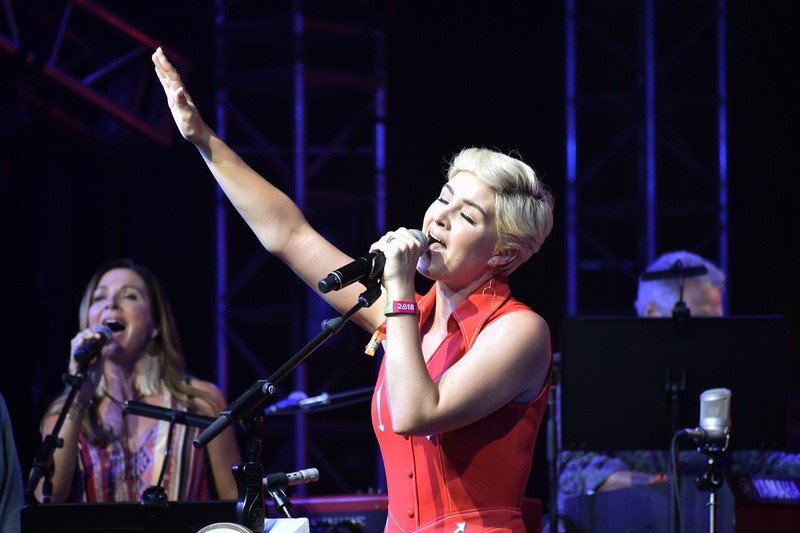 The show was broadcast live from the festival in its normal timeslot— and even included pauses in the music for commercial breaks. 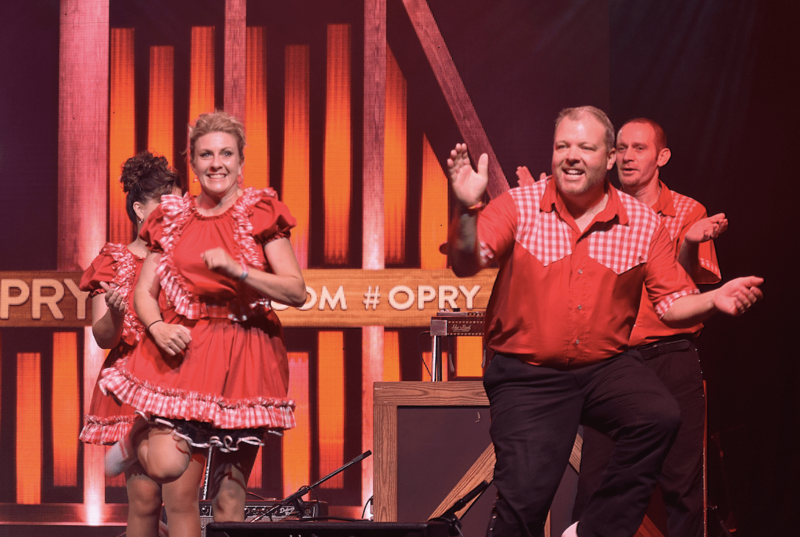 Those festival goers that made their way to That Tent on Sunday night got the real Opry experience, including the Opry Dancers. 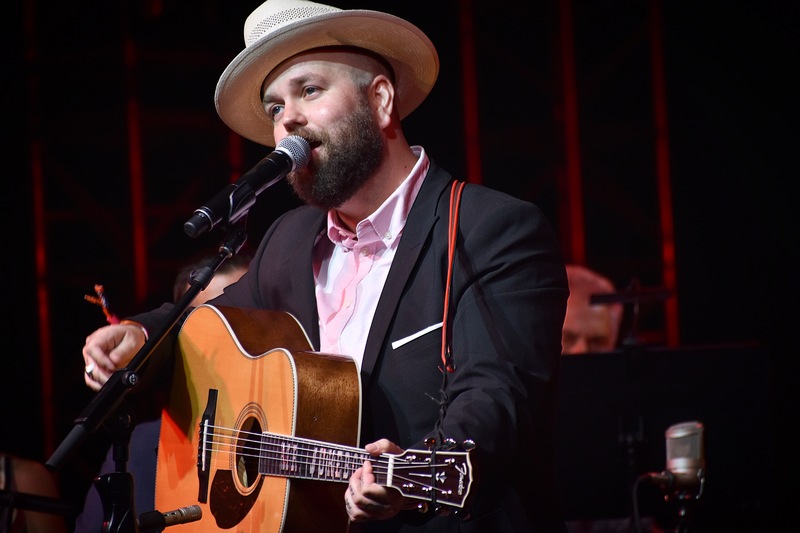 For those that have not made the trek to the Grand Ole Opry House or to the Ryman Auditorium where the Opry is housed during the winter months, it traditionally features three or four artists each hour with each artist getting to do a handful of their original songs. 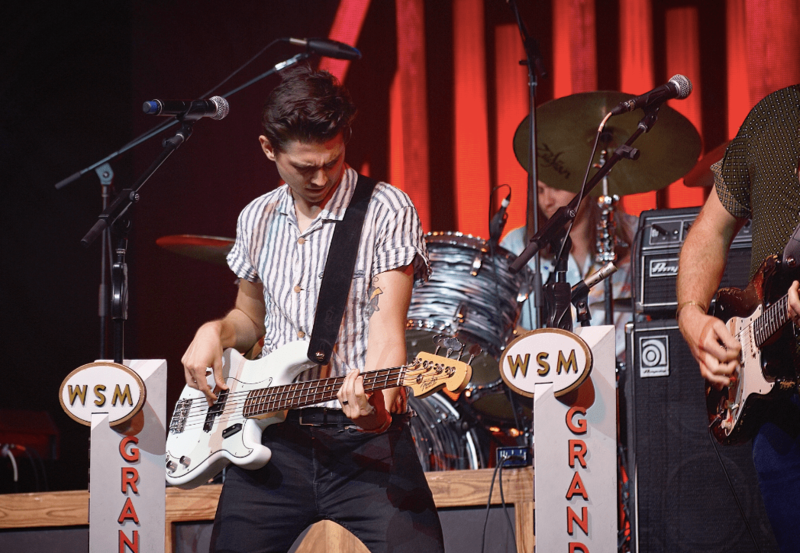 The Opry is built around the bond and strength of its member artists, and fortunately, member group Old Crow Medicine Show still had some energy left from their blistering show the previous night. 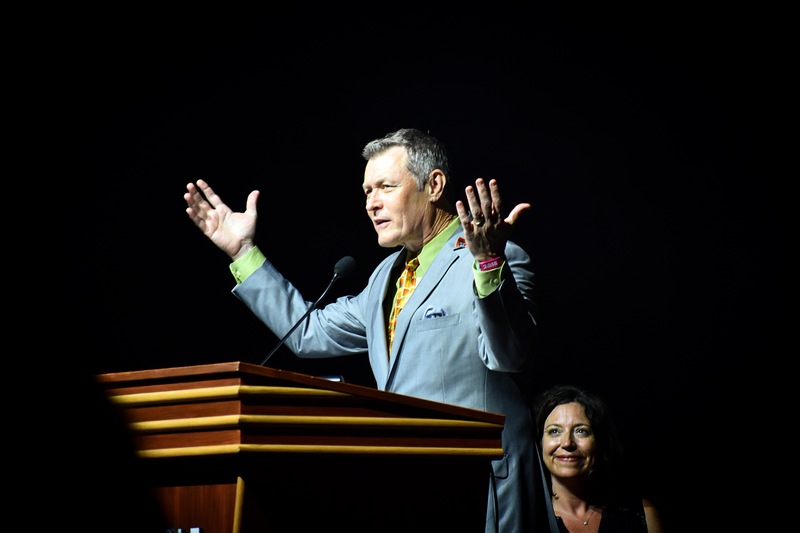 Helping build the bond between the Opry and Bonnaroo, Old Crow frontman Ketch Secor assisted host Bill Cody as master of ceremonies for the historic cross-over presentation. Just like the tie-dye, I am not sure what Bill Monroe and Roy Acuff would have said about Secor dubbing the night the “Grand Ole Op-A-Roo,” but the assembled crowd seemed to enjoy yelling it back to him each time he shouted it. 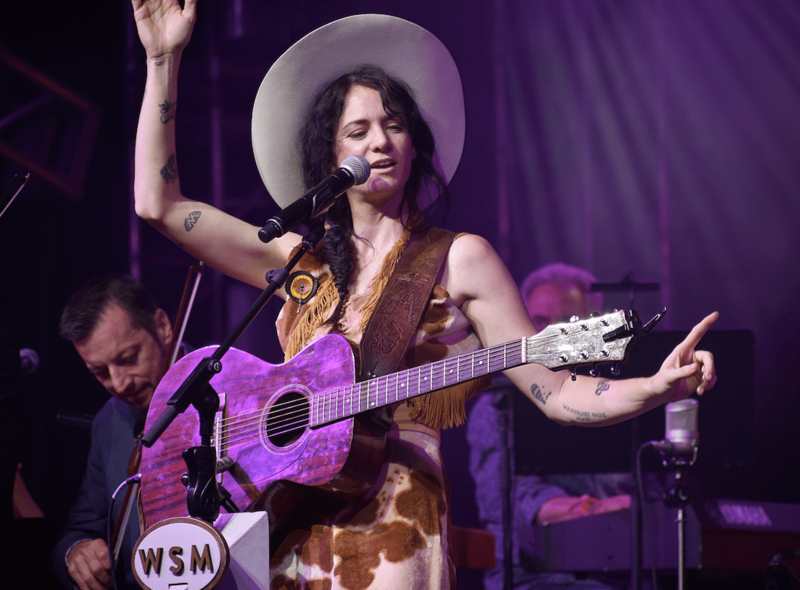 Much like Bonnaroo, the Opry presents a mix of legendary and up and coming artists. 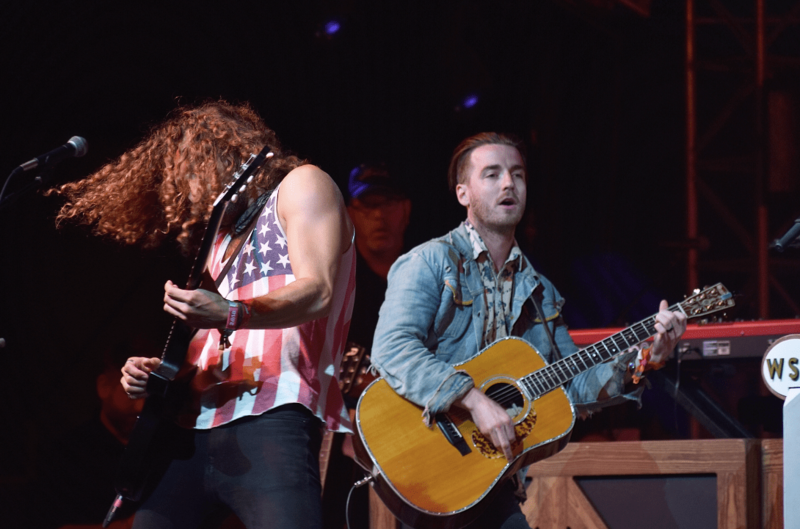 For the festival, the Opry highlighted the inner diversity of country music by bringing together artists spanning the genre’s landscape. 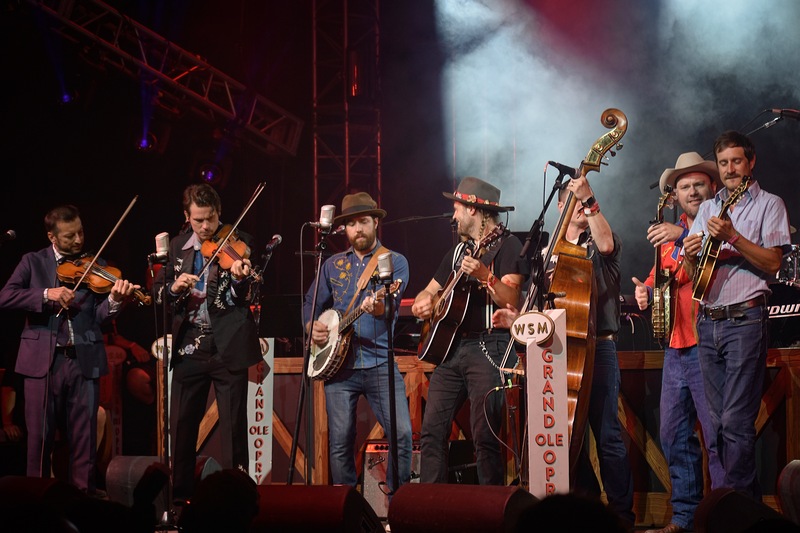 While Old Crow Medicine Show has been to Bonnaroo enough times to call it a second home, they were not the only returning artist. 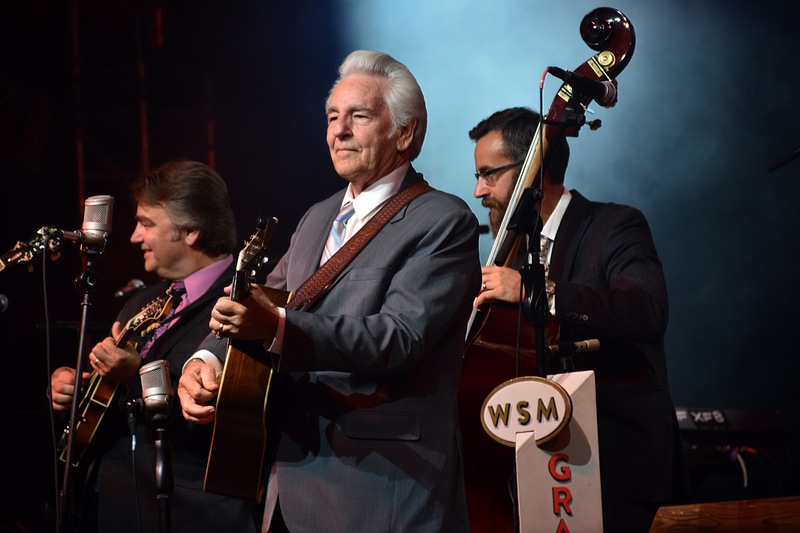 Following Old Crow’s fiery opening the set continued down a path of bluegrass music, but with a more traditional turn as Del McCoury took the stage. 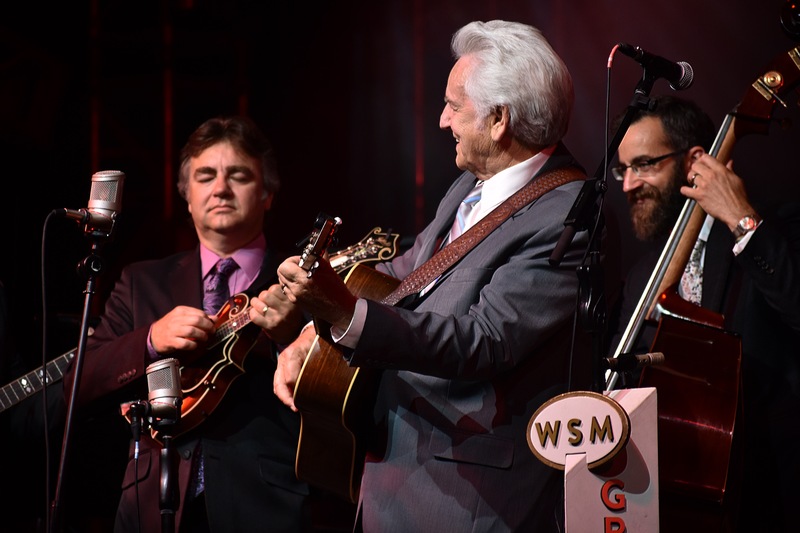 Where Old Crow features toe-tapping rhythms and a hootenanny stage presence, McCoury and his band slowed things down with strolling mandolin picking and twangy vocals that shared a distinct bond with bluegrass’s mountain roots. 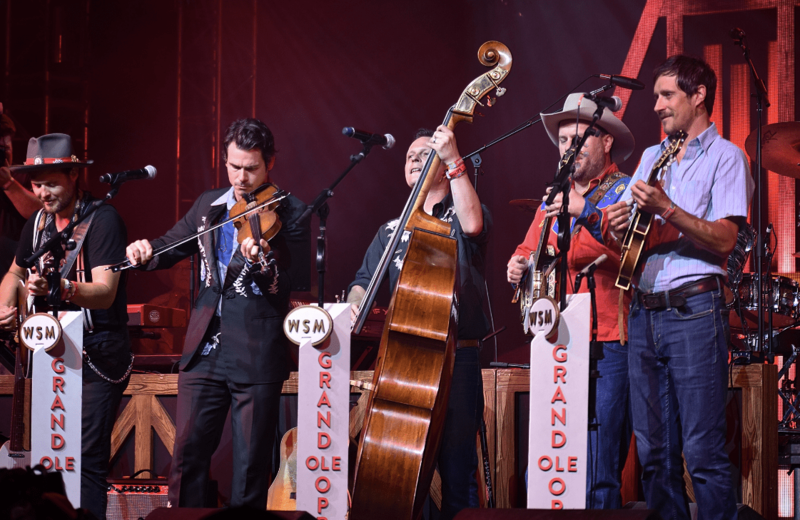 Even within the realm of bluegrass, the Opry made sure to show the breadth of influences and styles. 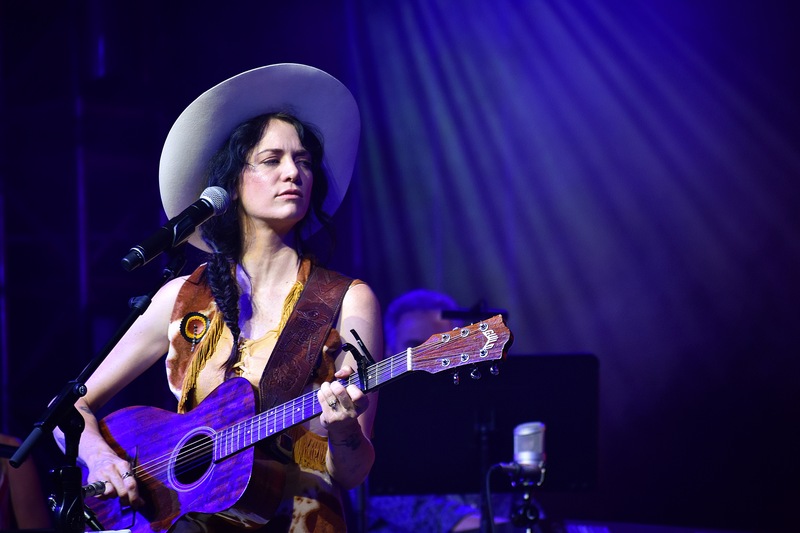 The next pair of acts featured the outlaw side of country music. Acoustic guitar in hand, western hat adorned, and a country-bitten voice, Nikki Lane had everyone’s toes tapping with her ever-sizzling hit, “Jackpot.” Behind her set, one of the kings of country music, Bobby Bare, took the stage and went straight into a couple of his biggest hits with “Streets of Baltimore” and “Marie Laveau.” As he finished “Streets of Baltimore,” the girl in front of me turned around crying. “He’s such a legend. I can’t believe I’m actually seeing Bobby Bare at Bonnaroo!” she proclaimed. For the next pair of artists, the Opry highlighted the newer voices in country music. First up was Maggie Rose who should be no stranger to people from Nashville, followers of the Opry, or anyone that has checked out rising country Spotify playlists. Rose showcased her dazzling vocals and a show presence that’s a blend of cabaret starlet and opera diva. 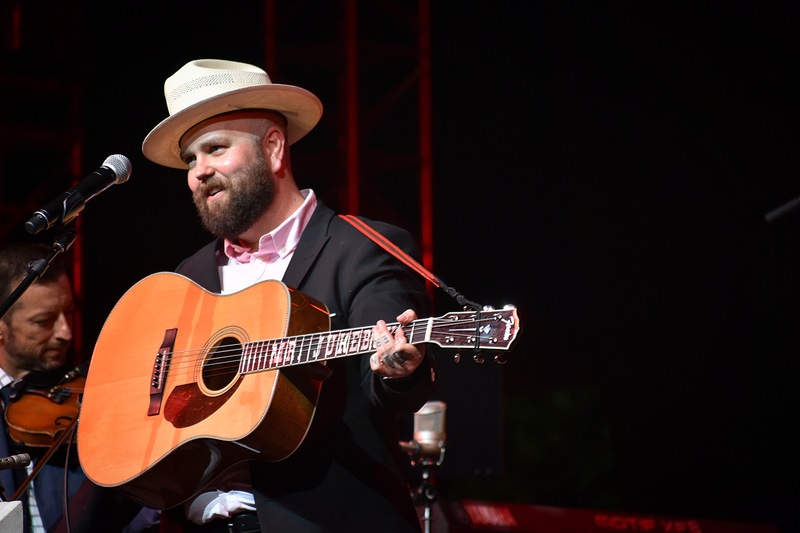 Following Rose’s turn on the Opry Stage, Bonnaroo welcomed the classic sad-country sounds of Joshua Hedley. Sharing his song “Mr. 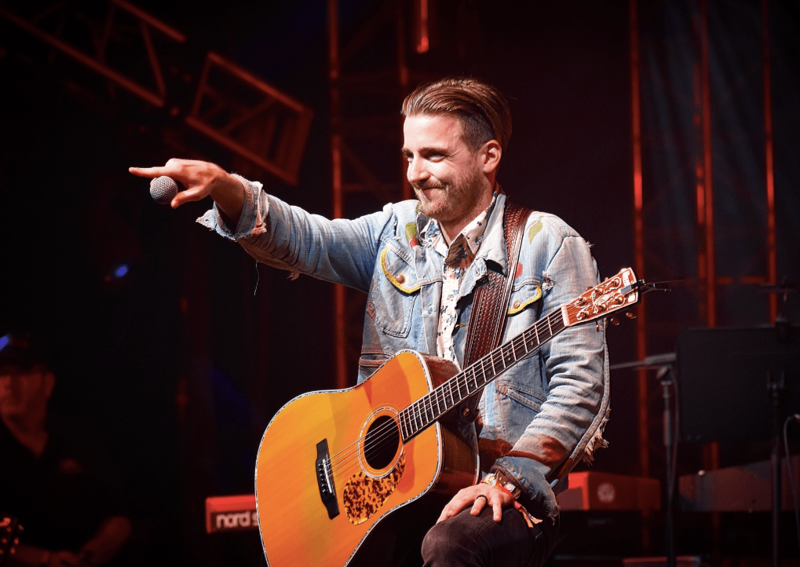 Jukebox,” and the story of honky-tonk playing repetition that inspired it, Hedley demonstrated why his name is often mentioned as a country singer to watch with a style that invokes the names of many of the old guard of the Opry. 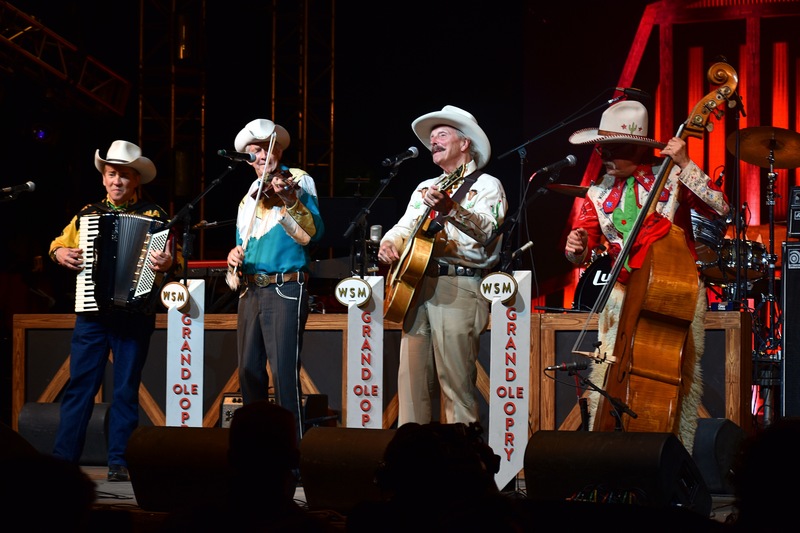 Of course, if you have ever been to the Grand Ole Opry House, you know that no show is complete without a few songs from the head-to-toe-western-clad-quartet, Riders In The Sky. 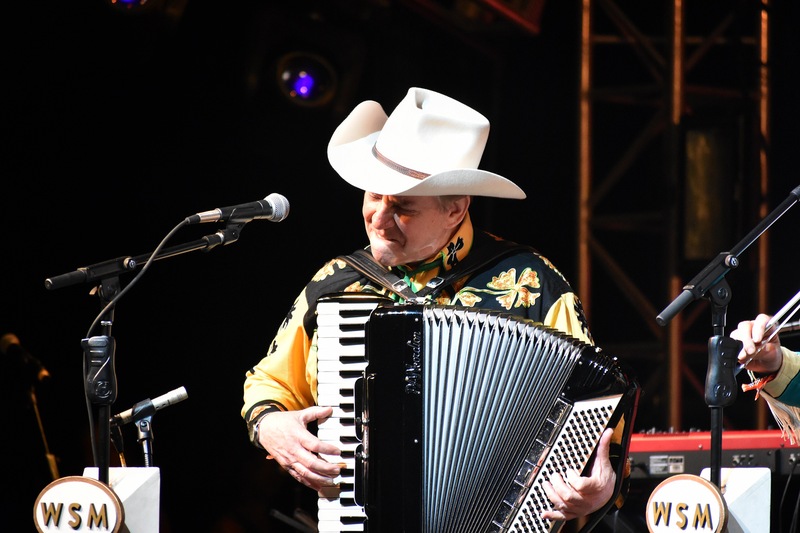 A group that’s done it “The Cowboy Way” since 1977 presents a blend of traditional cowpoke western swing and a touch of humor. It is hard to pick a highlight from the group’s Bonnaroo set. It could easily have been when the band’s upright bass player Too Slim threw down a freestyle rap at Slim Shady (Eminem) who had played the festival the night before. It could also have been band’s performance of a medley of songs from Toy Story 2 which were part of the group’s Grammy Award-winning album “Woody’s Roundup.” It also could have been when Too Slim got a roar from the crowd as he explained that playing Bonnaroo was a dream come true for him, especially after just seeing Dead & Company earlier in the week. Whether old or young, new or longtime fans, Riders In The Sky became fast crowd favorites. 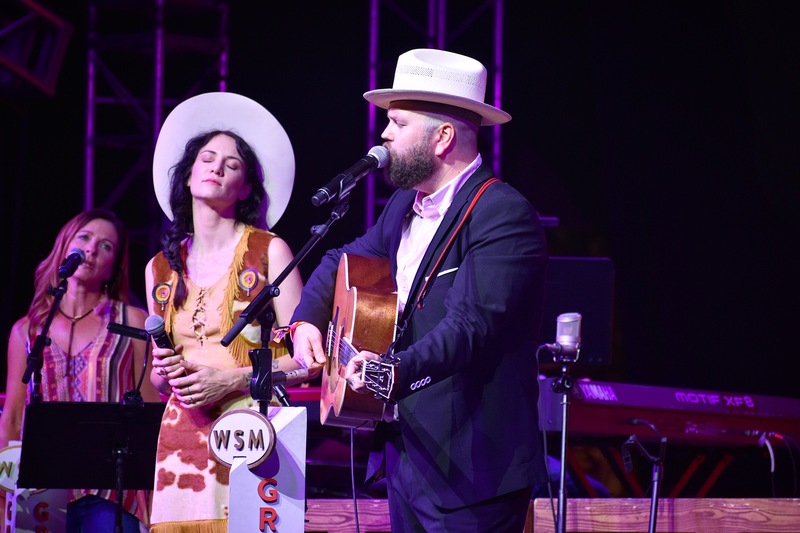 Throughout the night, the hosts and artists frequently spoke of “Opry Moments.” Just like the collaborative SuperJam that brought together so many of the pop and rock acts on Friday night of the Festival, the Opry was not to be outdone. 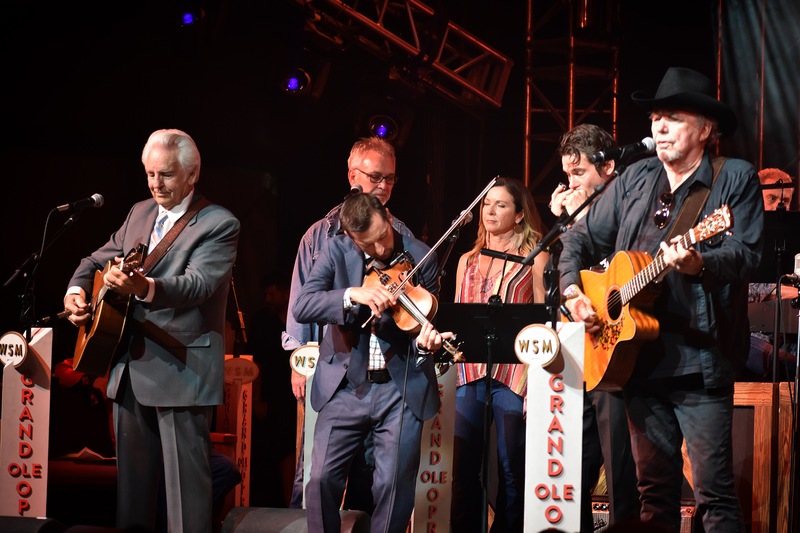 In addition to having his son Bobby Bare, Jr. backing him in his band, Bobby Bare, Sr. also welcomed Del McCoury back to the stage to team up and show the crowd how well bluegrass and outlaw country go together. Nikki Lane and Joshua Hedley teamed up for twangy harmonies. Most memorable of all, the entire cast came together to finish the show with a crowd-wide singalong of the classic, “Will the Circle Be Unbroken” As the Tent cleared, I already heard the audience debating which part of the show was the best. 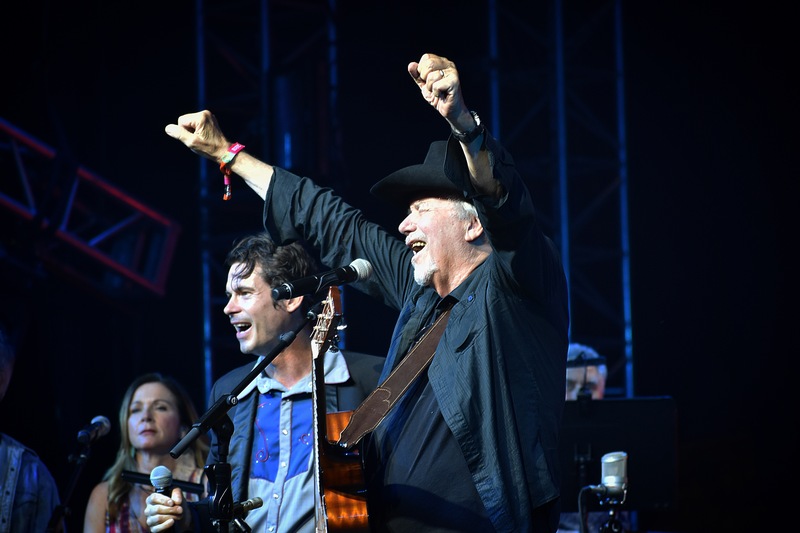 It was clear that the show was not only a historic collaboration of the musical titans of Tennessee, it had made memorable Bonnaroo and Opry Moments.